The Supermicro CBL-SAST-0972 enables OCuLink (x4) to MiniSAS HD connection. 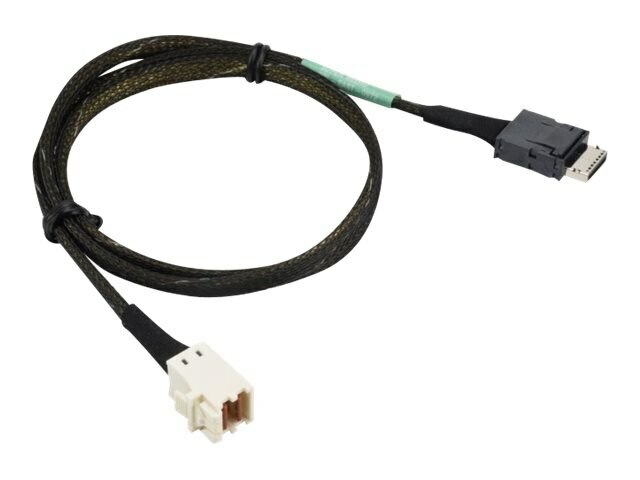 This cable is compliant with T10 and SFF standard and is verified with Supermicro servers, AOC cards, and storage. Each Supermicro cable is validated to ensure quality and performance.